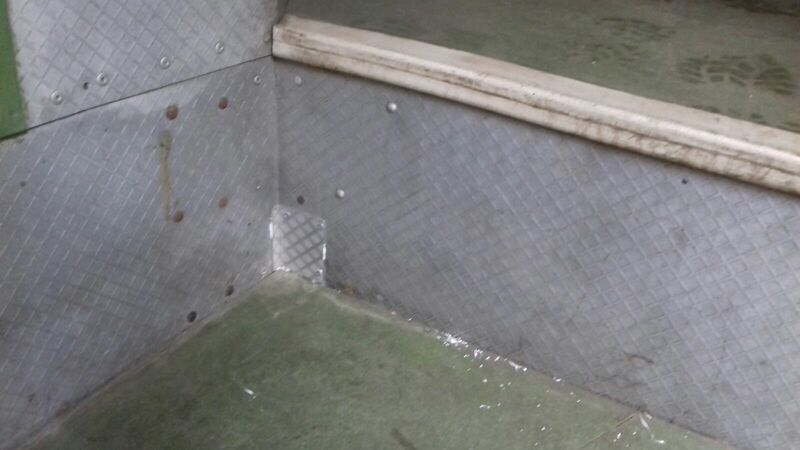 We have had problems with this bus ever since we acquired it. 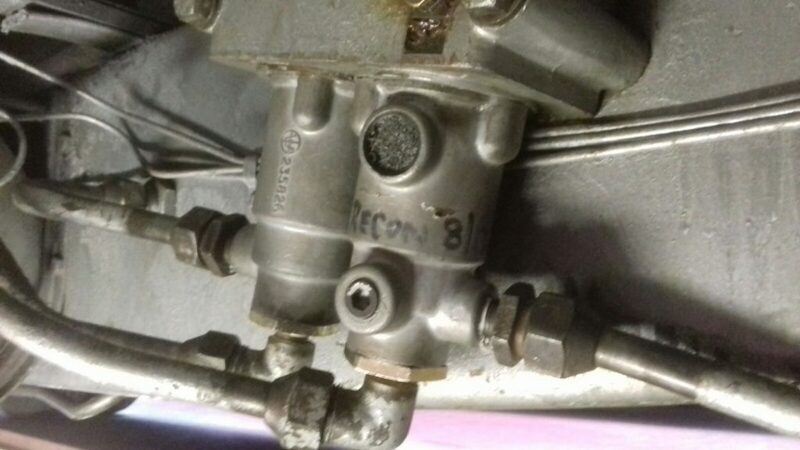 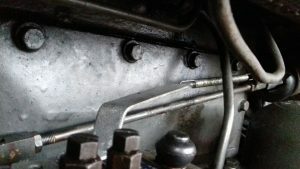 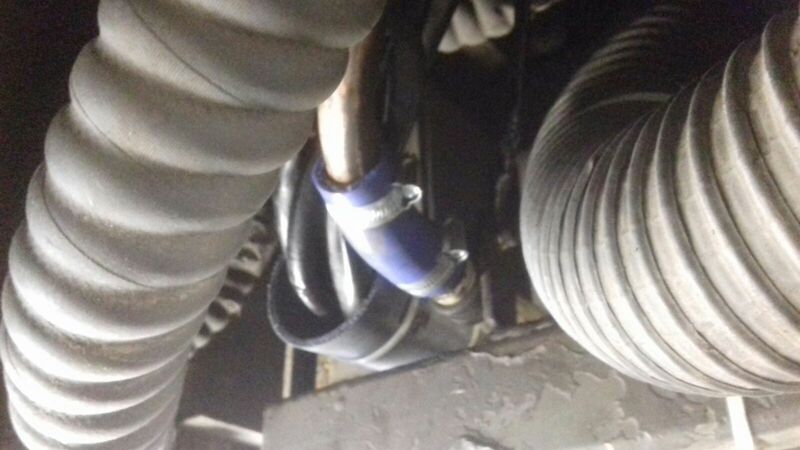 An electrical problem causing it to lose power was eventually found to be a bad connection in the electrical throttle system. 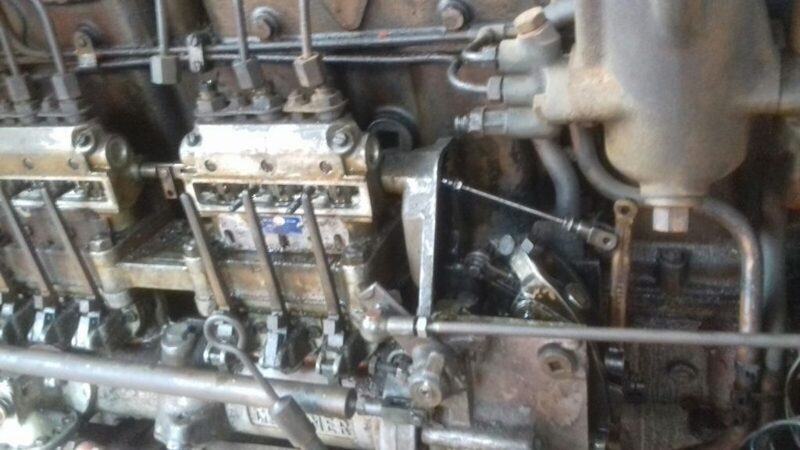 It still even though this was sorted did not prove very reliable and lost power again, a check of the fuel system found the diesel fuel bug had got into system. 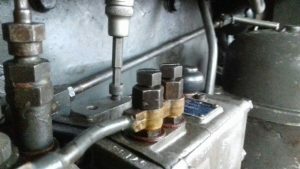 We treated fuel with relevant product and this has seemed to cleared up. 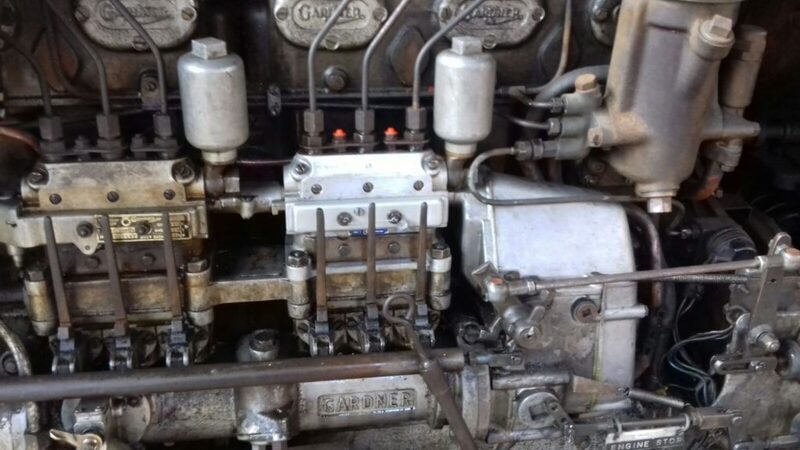 But further problems arose and we could not get fuel up to injectors so it would not start . 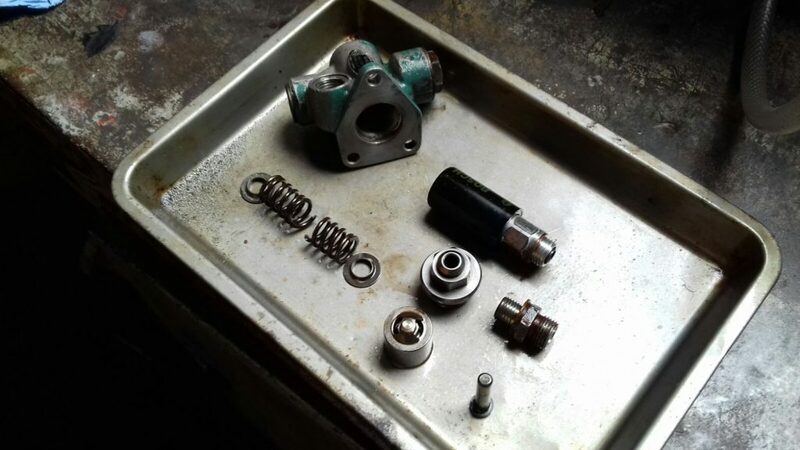 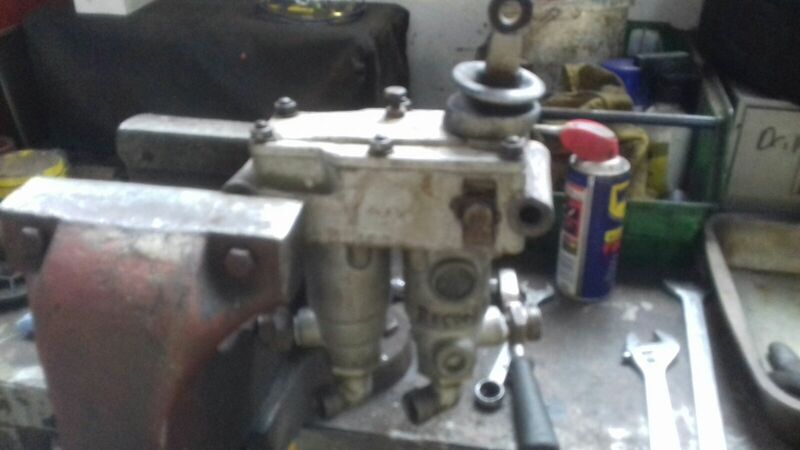 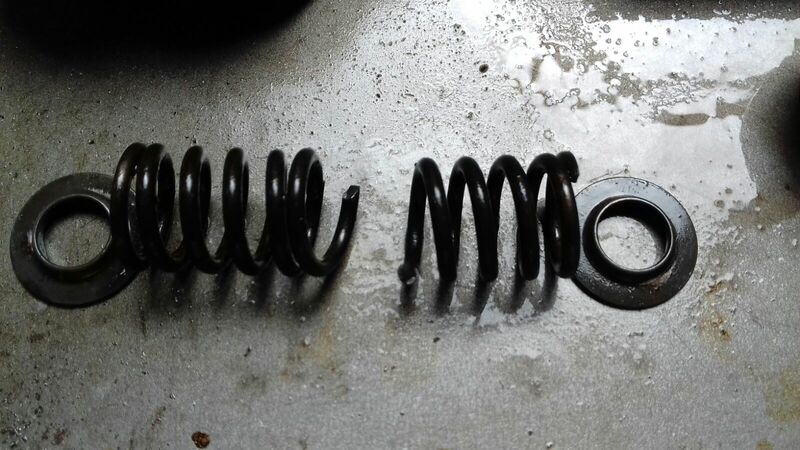 We checked all relevant parts and found the lift pump internal spring had snapped this is now away for overhaul, hopefully when it is back we can restart bus i will report on progress in next report. 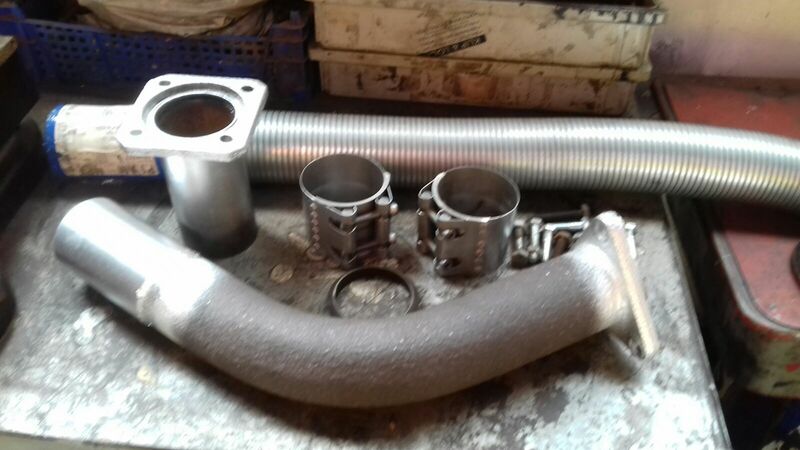 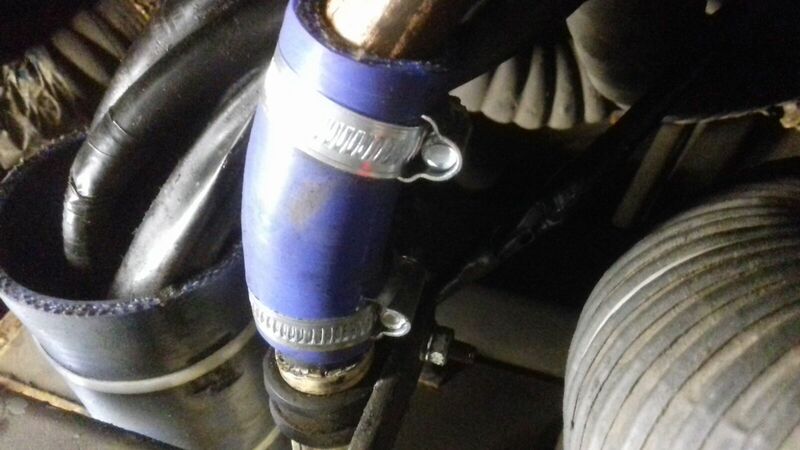 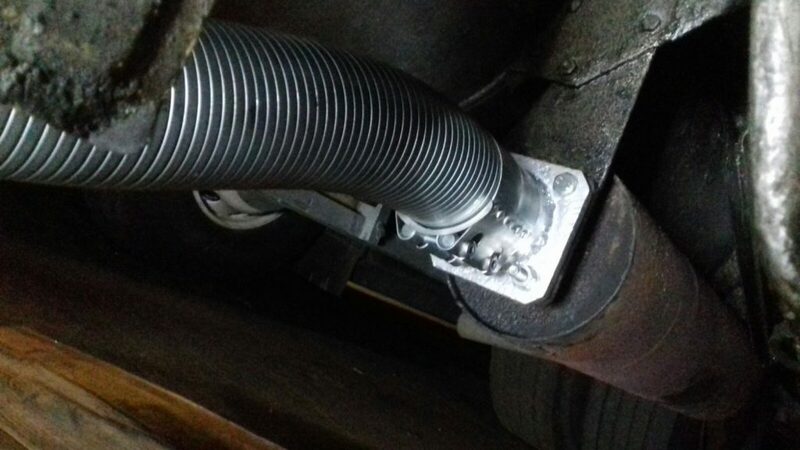 Exhaust pipe repaired , new flex and clamps fitted. 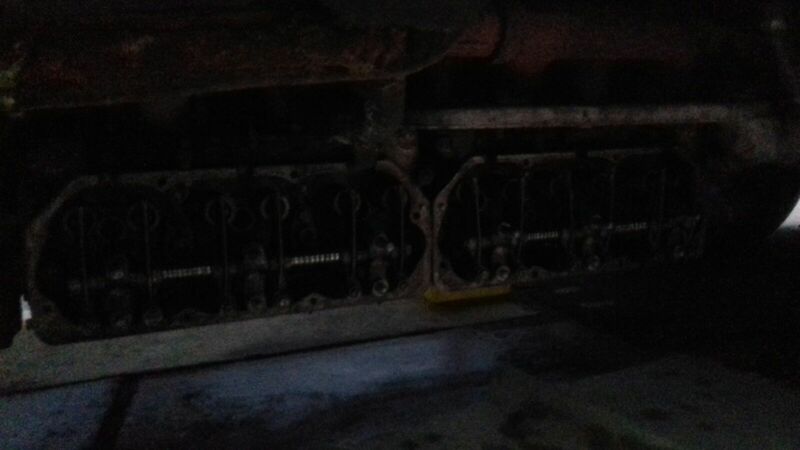 Whilst attempting to move the bus it stalled and was reluctant to restart. 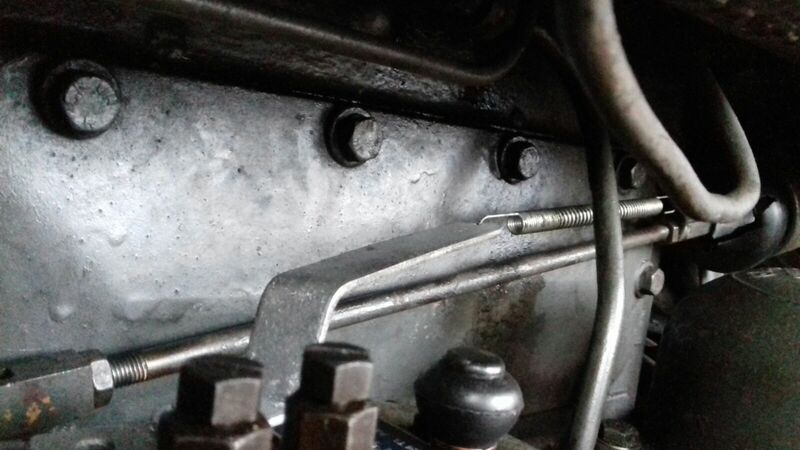 We checked out the fuel system and found that the fuel pump rack had stuck. 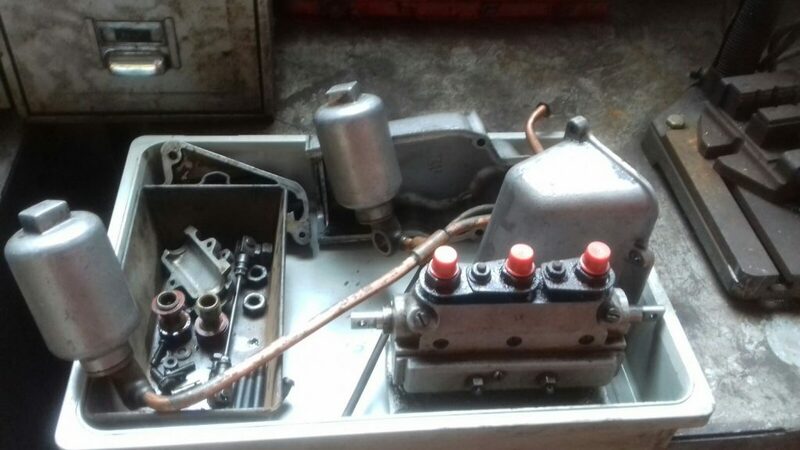 On closer inspection the rear portion was found to be seized so it was stripped down including the dismantling of the governor box. 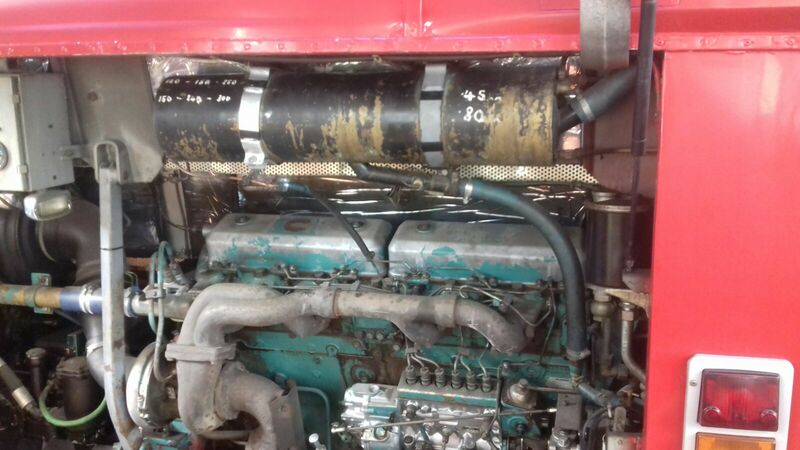 It was overhauled by fuel injection services and refitted, system bleed and tested OK. 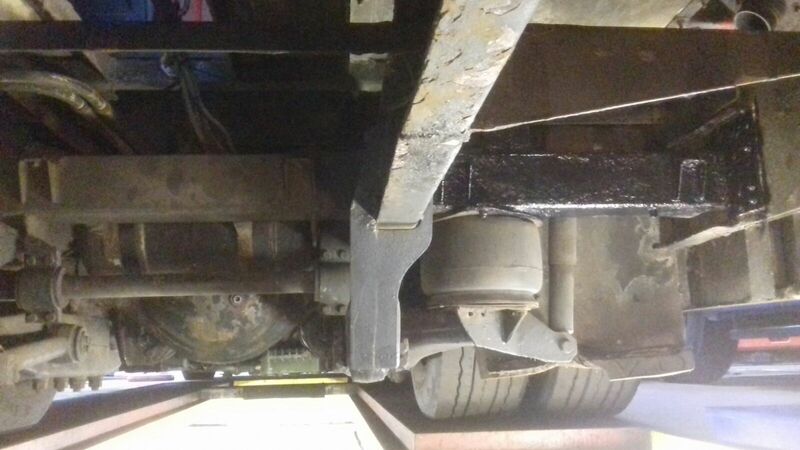 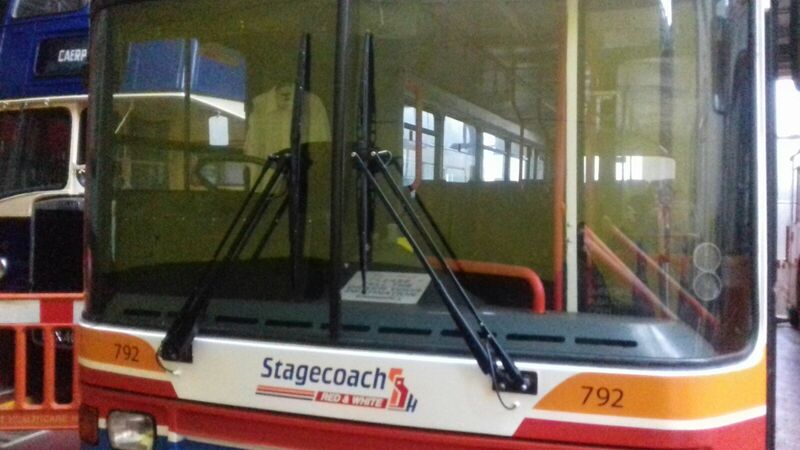 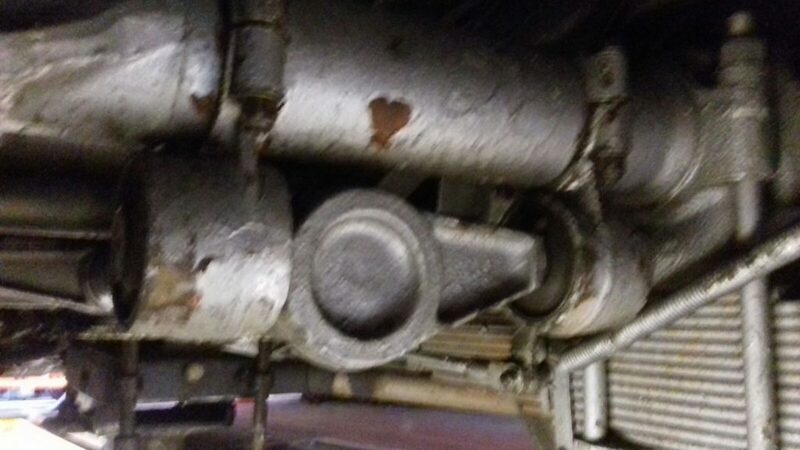 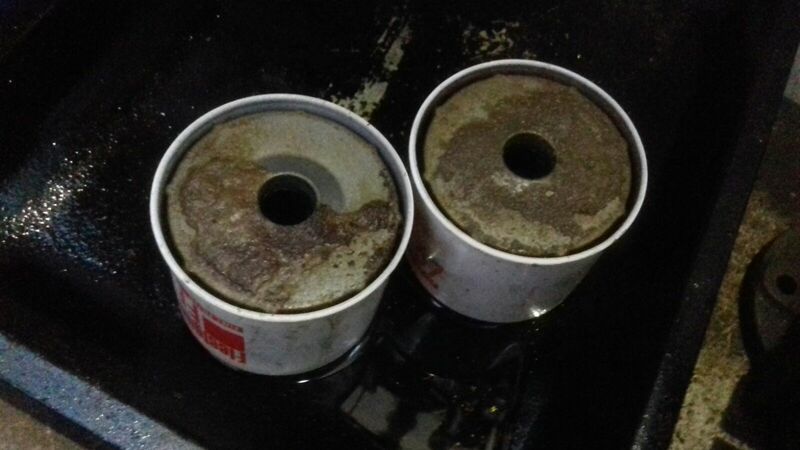 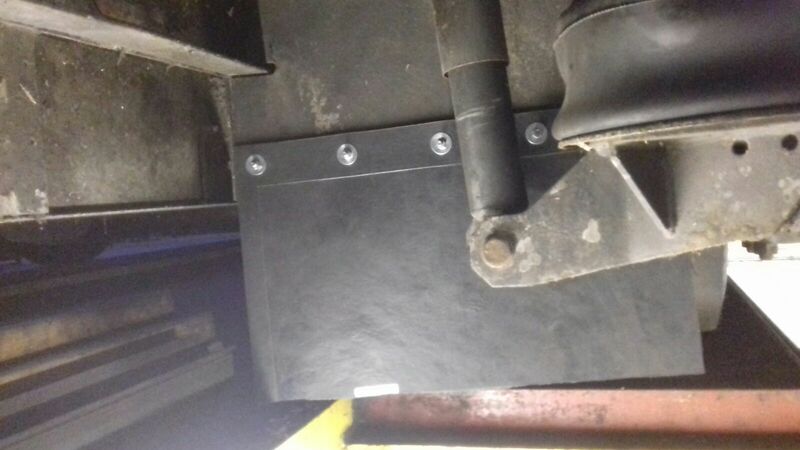 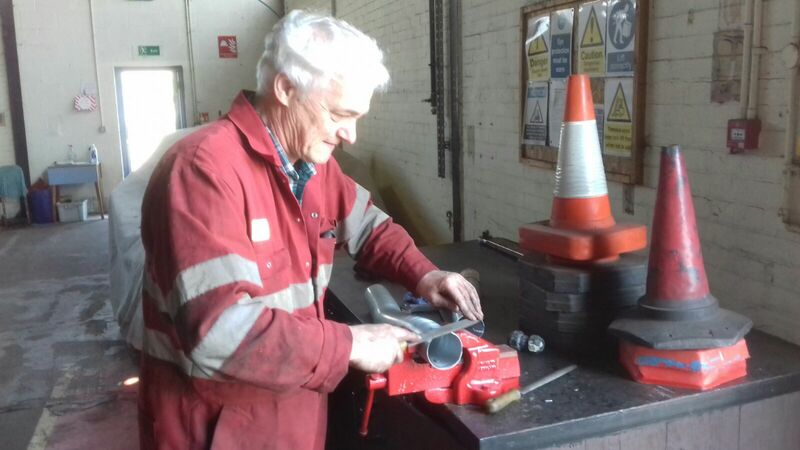 It was reported that the front brakes were pulling to one side, so both wheels and brake drums removed and the brakes checked and adjusted, something that we did frequently at Cardiff bus as it was a common problem. 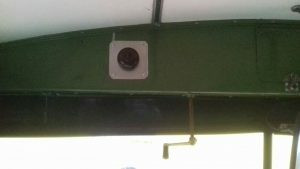 The bus was road tested OK.
UTG313G, KNY 495D, MUH289X. 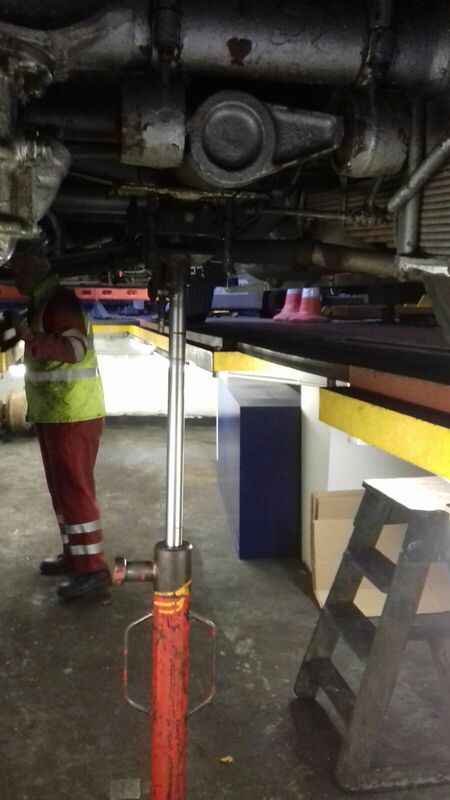 These vehicles have all been serviced and mechanical/electrical/bodywork faults have all been rectified. We are continuing to service all our running buses ready for the season. 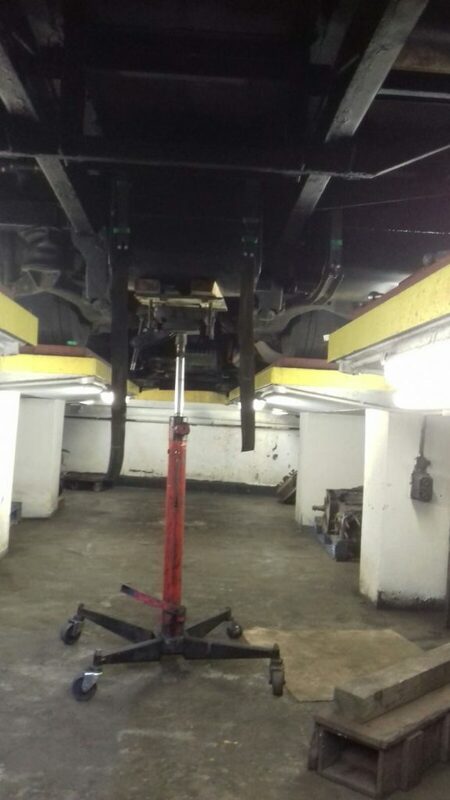 These vehicles have all been serviced and mechanical /electrical/bodywork faults have all been rectified. 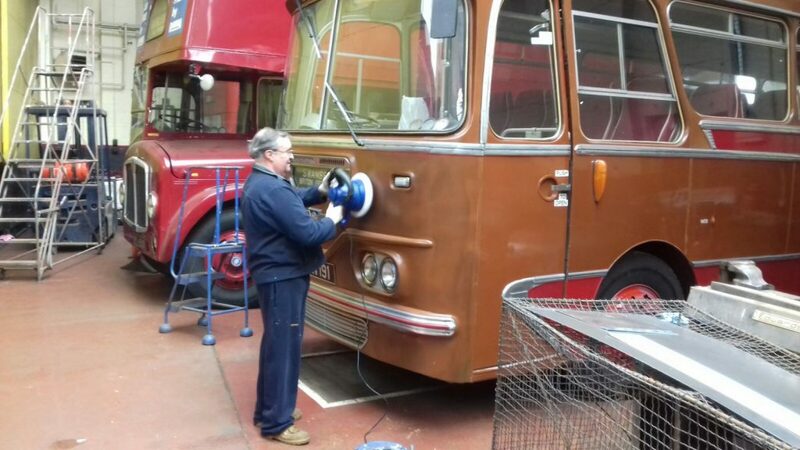 We are continuing to service all our running buses ready for the season. 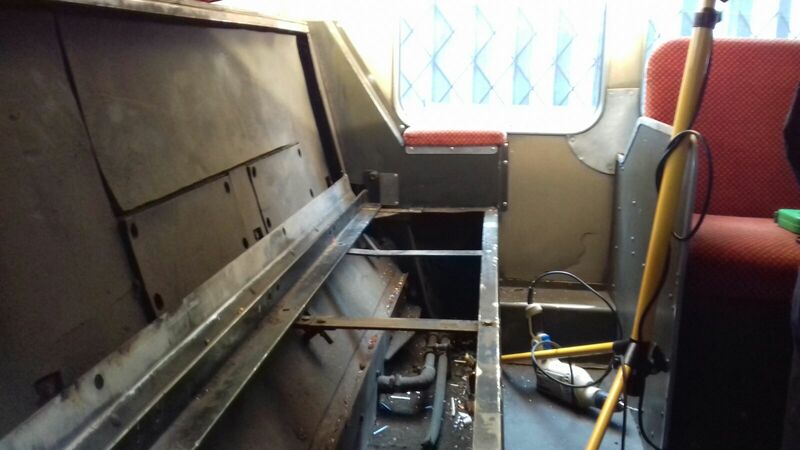 We gave this bus its annual check over last week and a number of jobs were found needing attention. 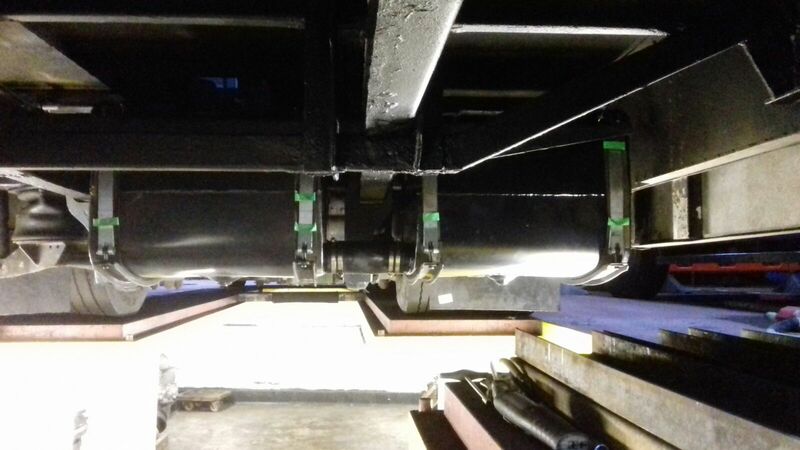 A lot of small electrical faults were rectified along with some body defects. 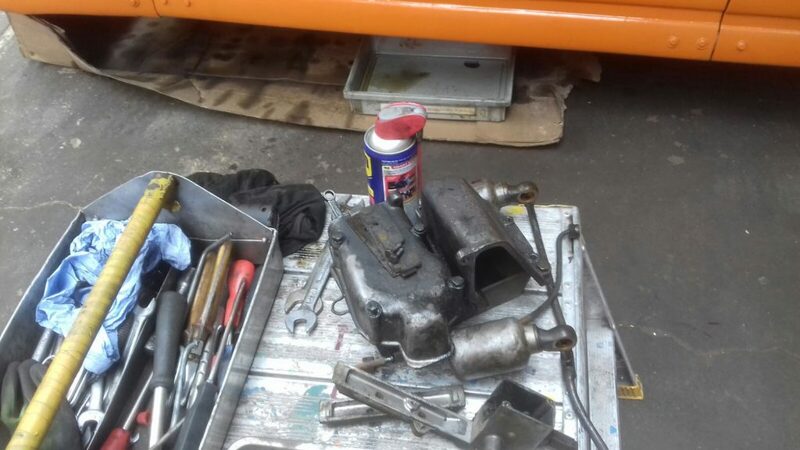 Also mechanical jobs such as the radiator mountings had worked loose and the engine stop was faulty, we also cleaned the fuel trap and renewed the fuel filters. Vehicle passed mot but on return from Porth started to develop a water leak. 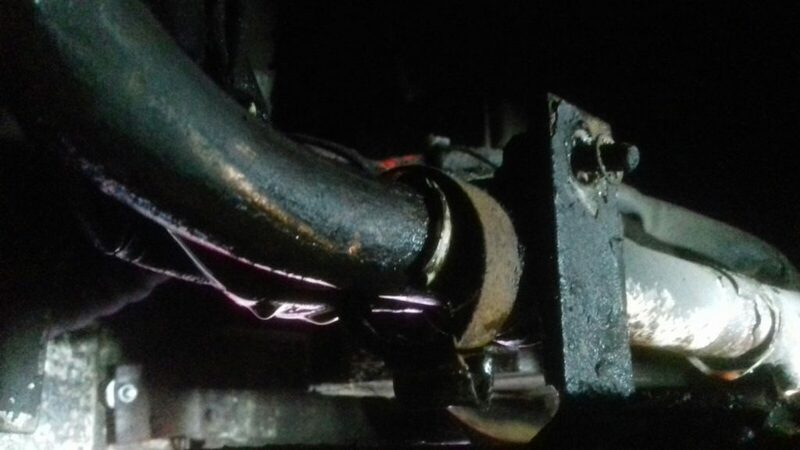 On return to depot we put back on pit and investigated where leak was coming from. 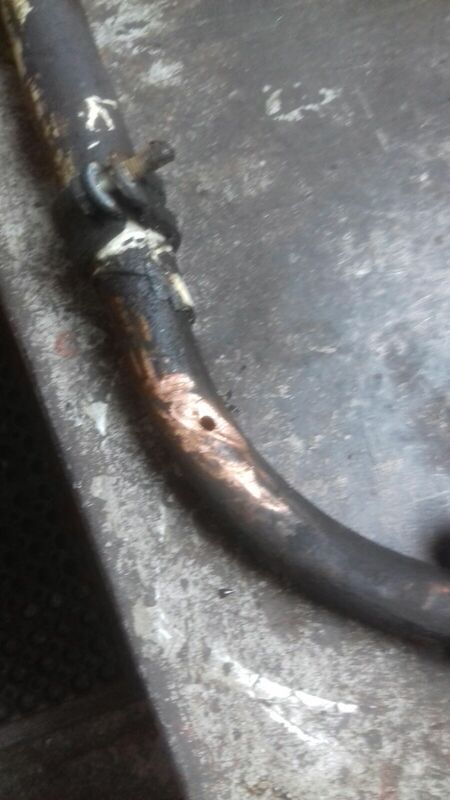 It was found an electrical loom had chafed through a heater feed pipe. 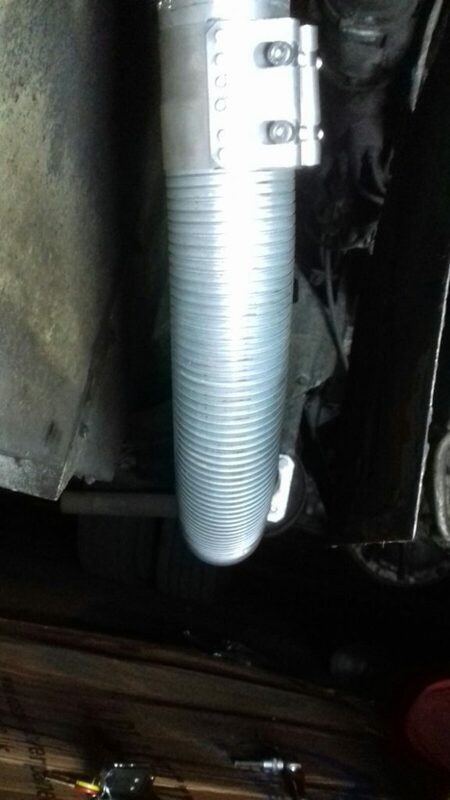 We removed pipe and put a new piece of hose over hole repositioned loom and refilled system. 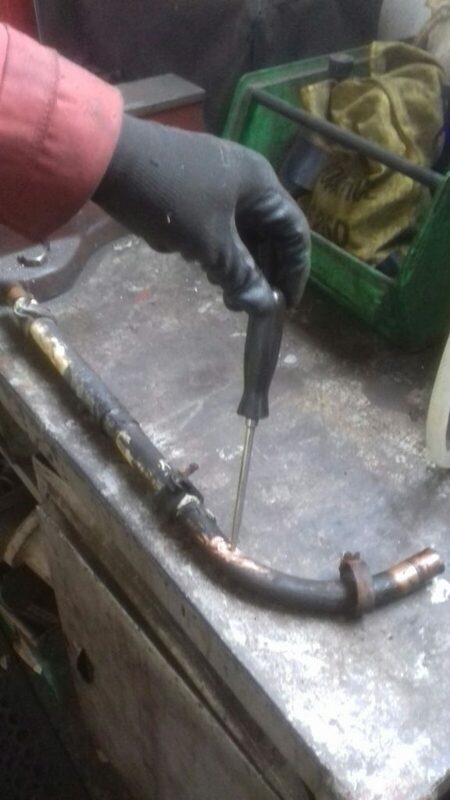 We then found the coolant level light would not go out so more investigation we found the probe in the header tank feed cable had a broken wire so we made good a repair and the light now works properly. 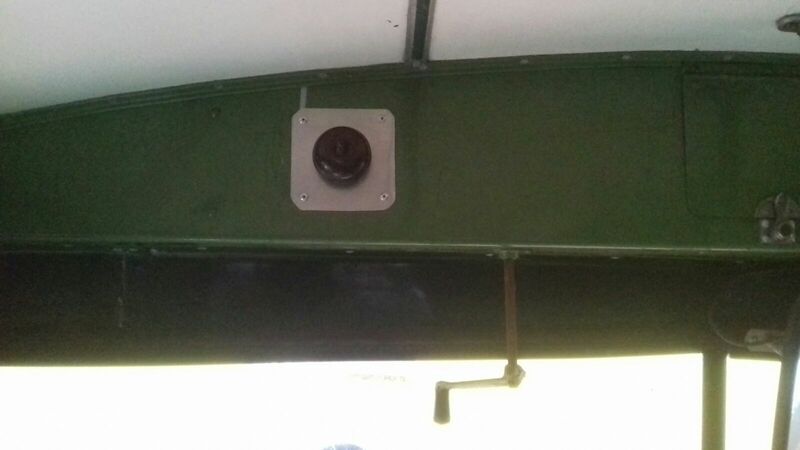 As engineers we like to see warning lights and gauges working properly on our buses as it can stop potential disasters we can ill afford. 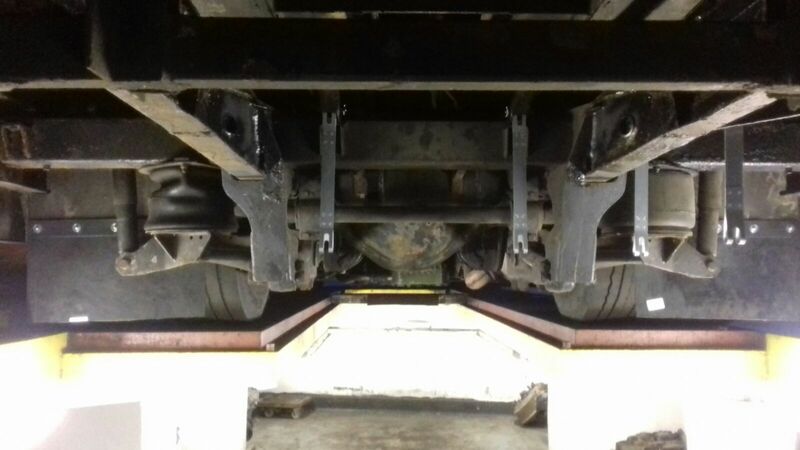 The new years jobs started with trying to get tkg 518j our leopard tow bus started. 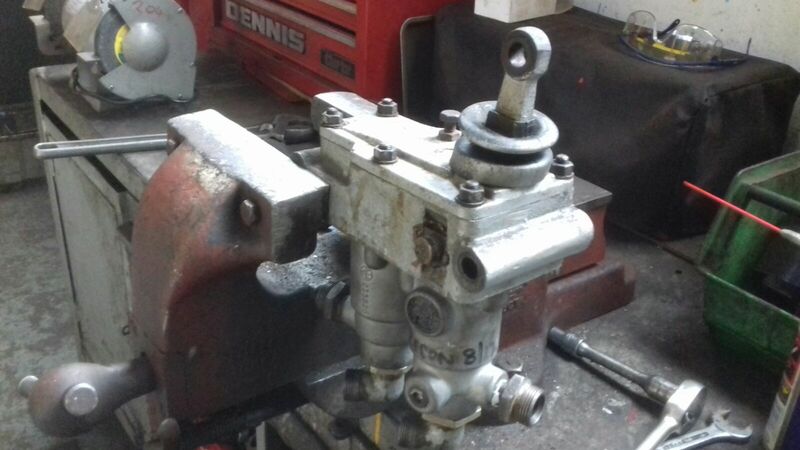 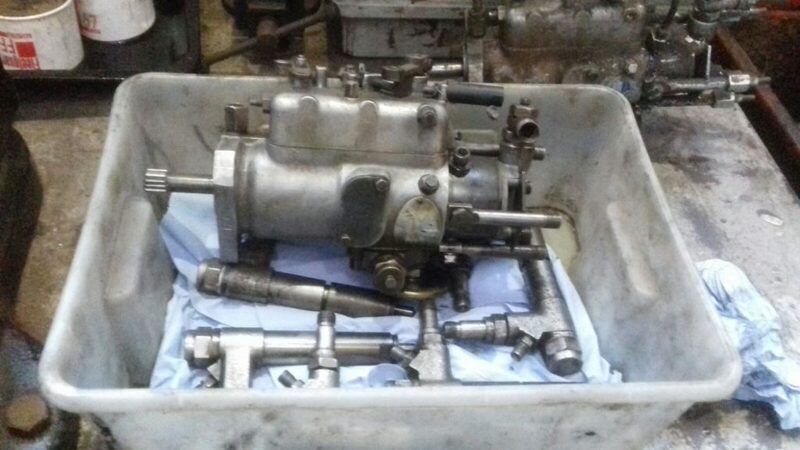 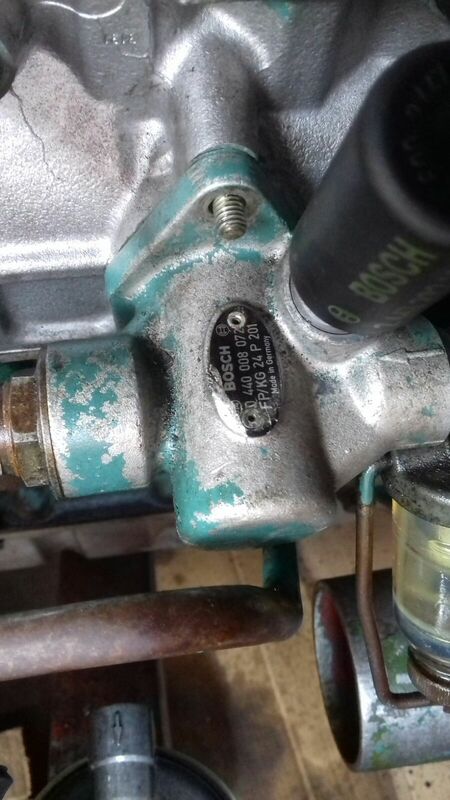 We found that the fuel system was badly contaminated a legacy of not being run for about 5 years, We removed fuel pump and injectors for overhaul. 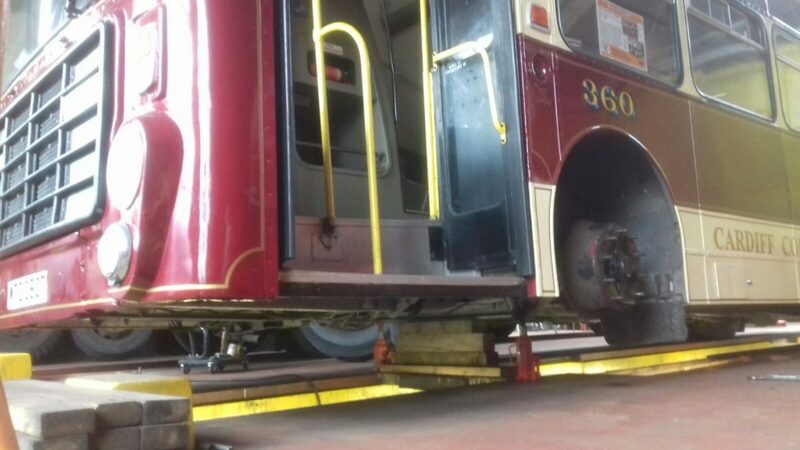 These have now been put back on bus but we still could not get enough fuel pressure up so the lift pump was over hauled as well. 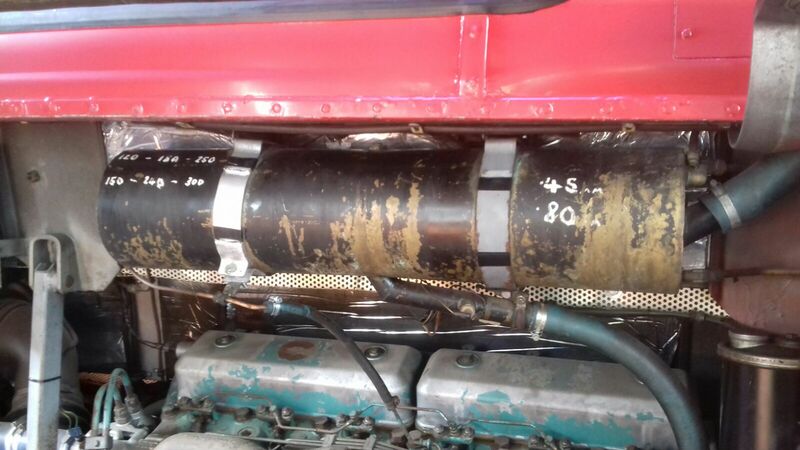 The fuel tank has been bypassed so we were feeding clean fuel in via a temporary tank. 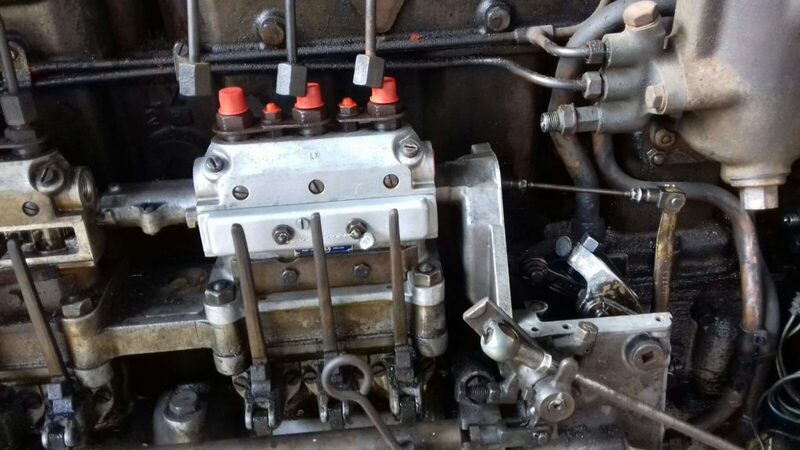 We now have a problem with the starter motor as it will not turn engine over fast enough to get fuel pressure into fuel pump so that needs to be checked next. 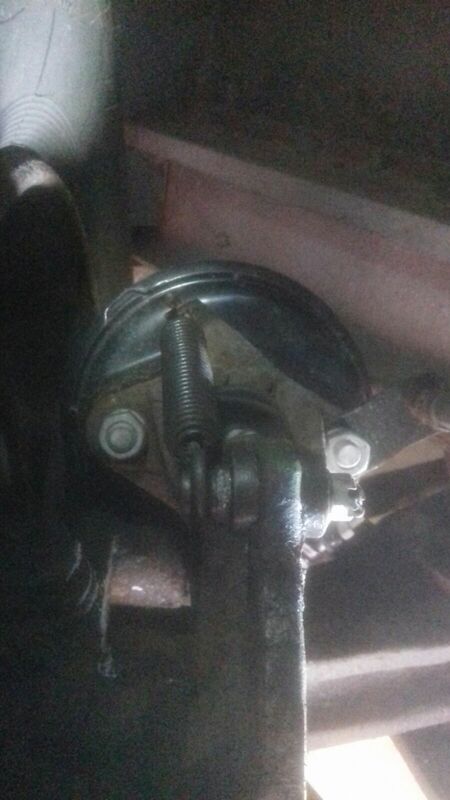 We have now fitted the new bushes into the rear suspension torsion bar and replaced back on Pax 466f. 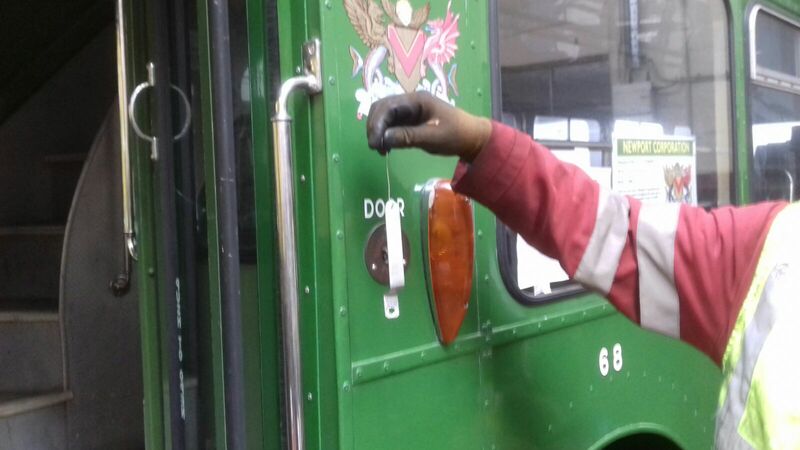 The last job on this bus was to check over for mot and reposition the wiper arms which that was not as simple as it seemed but success was achieved in the end and they now stop in the correct place. 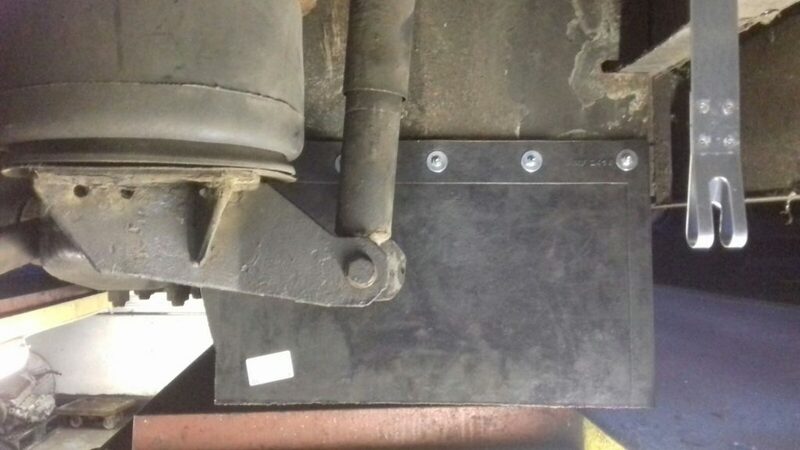 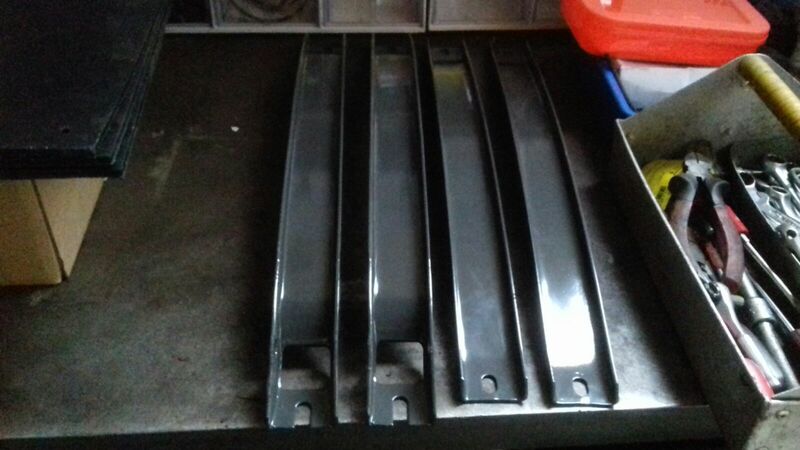 This weekend we removed damaged rear mudflaps and fitted new ones these will help keep rear of bus clean. 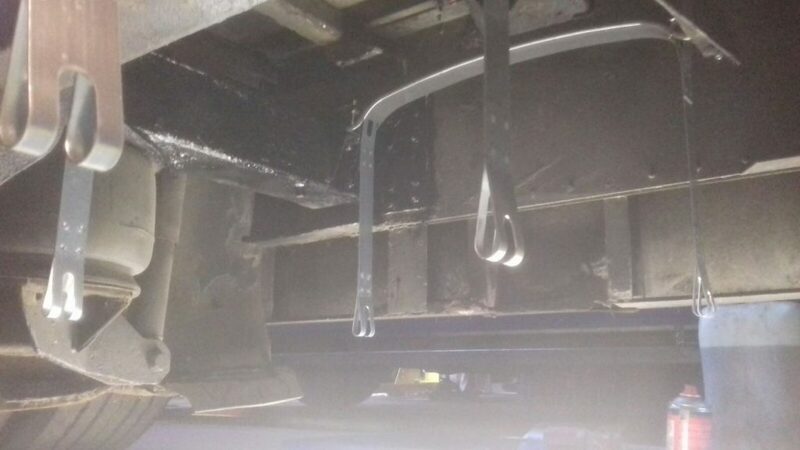 Then we fitted rubber packing to tank straps and refitted the fuel tanks back on the bus. 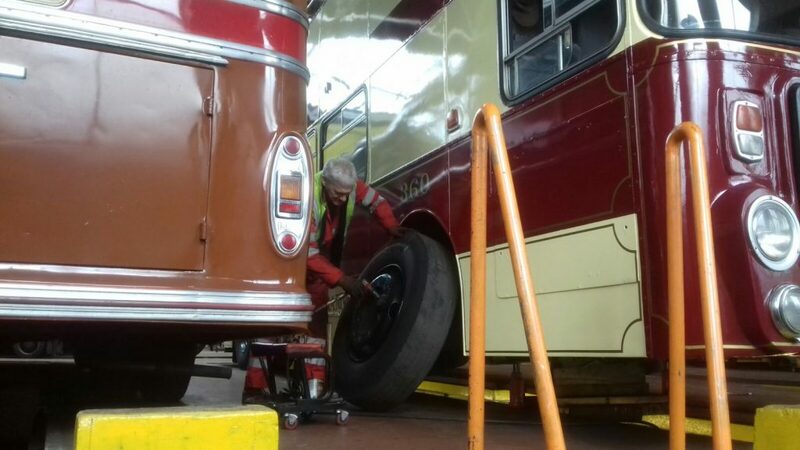 We refilled with fuel and restarted bus and checked for leaks all OK. We will now check her over for mot in the new year.